Every year someone comes out with a new and improved caliber or cartridge. Most die on the vine. A few grow some legs, though none is genuinely new. Even fewer catch on, and the latest to do so is the .224 Valkyrie. Another take on the “fast .223,” it uses the same .224 bullets seen in 5.56mm or .223 Remington rifles. The Valkyrie sits between the .223 and the very fast .22-250, side-by-side with the .22 Nosler, which are two different takes on the same concept. The original idea was to get close to .22-250 velocities in a lightweight AR or modern sporting rifle (MSR) using hunting bullets. They also push heavier bullets (80 to 90 grains) out to 2,700 or 2,800 fps for precision and competition shooters. Nosler’s .22 Nosler uses a case similar to the 6.8 Special Purpose Cartridge (SPC), with a rebated rim necked to .224. These cases have a .223 rim that expands out to the larger casing, allowing for a standard 5.56mm bolt. Federal’s .224 Valkyrie starts with a 6.8 SPC case, leaving the rim as is and requiring a 6.8 bolt. Both use 6.8 SPC magazines. While the end result is similar, they go about getting there differently. Looking at most early comparisons, they seemed to be conducted using ballistic programs, not real data. Ballistic programs are only accurate when applied and confirmed in the real world. Entering a muzzle velocity yields a “predicted” hold at 1,300 yards, not a real one. You need to put lead to steel, then enter real data into your ballistic calculator. This presumes you have steel at that range, and can hit it, but once you’re done you have verifiable and largely predictable data. Valid comparisons remove certain factors. Can you remove them all? No, but you can remove most, so I did. I used factory-loaded ammunition, factory barrels and available parts. Shooting would occur on the same range, on the same day(s), with the same weather conditions, targets, position, scope and so on. In this test only the barrel and bolt were changed. My Zev Technologies build was the base, and their billet MML upper receiver fully supports the barrel and has produced precision rifle accuracy in .223, 6.8 SPC and 6.5 Grendel. The bolt carrier group is Aero Precision, and the trigger is a Timney Targa two-stage using a flat shoe. The gun has a Primary Weapons EBT buffer tube, and the stock is an LMT sniper. I have a Primary Weapons H2 buffer and Sprinco Red spring. Bushnell’s latest Elite Tactical PRO DMR scope with a G3 reticle was mounted in a ZRODelta cantilever mount. NG2 Defense’s MAXFLO 3D suppressor kept things quiet, and its flow-through design leaves the brass clean and undisturbed. Wilson Combat AR barrels offer an incredible buy. Most are under $350, drop in and have proved incredibly accurate. Tested in a half dozen calibers, all shoot under an inch at 100 yards, most half that. Both were 20 inches long, medium contour, fluted (recon), with improved feed ramps. An SLR adjustable gas block was installed on the 0.750 gas journal. The .22 Nosler barrel is 1-in-8-inch twist, the norm for this caliber. Valkyrie barrels are mostly 1-in-7-inch twist. Bill Wilson’s testing found 1-in-6.5-inch to work best. Nosler and Federal ammunition was used: 85-grain RDF Nosler, and 90-grain SMK from Federal. Other bullet weights were tested, though most of the data comes from these two. Both companies advertise flat trajectories, similar to some 6.5s out to 1,300 yards, so that was my limit. An Applied Ballistics‒equipped Kestrel trued each at 1,000 yards. This was then confirmed at 1,308 yards. Distances are well established, since I shoot them several days a week. Everything was fired standing behind a bench using an Atlas Bipod and a rear bag for support. Elevation was dialed and wind held using the G3 reticle. Shooting occurred over three long days starting at dawn each day, ending at dusk on one. Conditions were 93 to 95 degrees, with 10 to 15 percent humidity and winds in the 10 to 15 mph range. Average density altitude (DA) was 8,500 feet. Both rounds proved to be accurate, producing five-round groups in the 0.60-inch range at 100 yards. Nosler’s 70-grain RDF had the tightest and most consistent group at 100 yards. The 300-yard groups were in the 1.70-inch range using match ammunition. Nosler’s 85-grain RDF produced the best at 1.58 inches. Cold shots were consistent, several cutting the center out of the 0.5-inch dot. Bottom line: Both barrels were equally accurate, holding under 1-MOA at 100 and 300 yards. Federal’s Gold Medal 90-grain SMK (.224V) trued at 2,700 fps, matching listed velocity. Nosler’s 85-grain RDF (.22N) trued higher at 2,800 fps, about 100 fps faster. The 70-grain RDF trued to 3,025 fps, and the listed velocity was 3,000 fps. Overall they were close to listed velocities, and at 1,308 yards there was little practical difference. Barrels were swapped in the field using my hitch vise and Geissele Reaction Rod, then confirmed using their 1,000-yard holds. The Valkyrie 90-grain SMK held 8.4 mils; wind hold was 1.25 mils. Seven out of 10 rounds impacted the 16-inches-wide by 22-inches-tall target roughly centered. Misses held the same elevation. Applied Ballistics listed hold was 13.7 mils, and was confirmed with three of five hits holding 1.75 to 2.00 mils for wind. Nosler’s 85-grain held true at 8.2 mils. This does not seem like much, but at 1,000 yards that can mean a miss. While its ballistic coefficient (BC) is lower (0.245 vs. 0.274) than the SMK’s, it is making another 100 fps, which also makes a difference. Wind holds were the same, 1.25 to 1.35 mills as it shifted. Hold at 1,308 was listed as 13.5 mils and confirmed on steel holding the same 1.75 to 2.00 mils of wind. Interestingly, the 70-grain RDF confirmed at 8.2 mils at 1,000 yards, same as the 85-grain RDF, but increased to 14.5 at 1,308 yards. Its much lower BC (0.197 vs. 0.245) gave way to the 85-grain as range increased, in spite of its increased velocity. Comparing the heavier bullets from each manufacturer, the difference is minimal, well within errors made by the shooter or shifting conditions. Although this is verifiable, I am not sure most people would notice the difference. Running either caliber for a Precision Rifle Series (PRS) match or similar will yield the same results. Both RDF loads were consistently flatter out to 800 yards. Sierra’s 90-grain SMK held 6.0 mils, the 85-grain RDF 5.7, the 70-grain 5.4, which was pretty significant on paper, marginally so as a practical matter. The .22 Nosler is nonetheless flatter out to 800 yards. Both Nosler and Federal advertise their offerings as the ultimate .223 varmint hunting rounds with loads to match. Given that my 53-grain VMAX handload makes 3,200 fps from a 16-inch barrel and has been used to great effect on varmints, I am not sure that’s really true. Opinions differ considerably on this subject. There is no doubt that both are faster than most factory ammunition from a .223, but whether that results in a practical difference will be argued ad nauseam. Nosler’s 55-grain E-tip and Federal’s 60-grain Nosler Ballistic Tip made about 3,330 fps from these barrels. Nosler’s 62-grain Varmageddon measured 3,110 fps. Moving to a 24-inch barrel would increase these, as would handloads, possibly practical for prairie dogs or similar, but most of that crowd sees anything under 4,000 fps as slow, and I am just not sure that is either safe or possible with these calibers. Both the 70-grain RDF and 90-grain SMK ran using the H2 buffer and increased power spring without issue, with consistent brass ejection and very little felt recoil. Moving to the 85-grain RDF required a small adjustment at the gas block. Most lighter and much faster loads required the gas to be turned down a bit to keep it smooth. If you are going to run lots of different ammunition, use an adjustable gas block. Felt recoil was subjective, but it seemed the Valkyrie was “softer” with a somewhat slower bolt cycling time. Shooting rifles almost daily over years provides me a feel most people may not even notice, but to me it’s there. The Valkyrie is a bit softer in general. My initial thought was the 1-in-8-inch twist barrel may provide an issue for the 85-grain RDF, but nope, it ran like a champ and was very accurate. Granted, the 70-grain RDF was a tad more accurate and flatter than all the precision bullets, but the 85-grain RDF worked just fine with the faster twist. Having tested a 1-in-7-inch twist Wilson Combat .224 Valkyrie barrel, I was unable to discern any real difference. Both grouped well at 100 and 300 yards, and holds were the same at 1,308 yards. I am sure there is a difference, maybe over a broad spectrum, but either way the Wilson Combat barrels were excellent in this caliber. Handloading changes the game here, since you can speed these up quite a bit, but with the AR platform it won’t be a done deal. I will be loading the Nosler 70- and 85-grain RDF for the Valkyrie for another project, and it will be interesting to see what, if any, difference there is. Bolt guns are starting to crop up as well, making handloading even more promising for either. Removing the cycling issue is huge. I’m still not sure how big a game changer it is, but it does add another component to the equation. For most people, which one to choose is really going to be about personal preference. Outside support for the Valkyrie is better. Ammunition choice is about the same now, but the Valkyrie seems to be gathering steam. There are multitudes of differences in the minutiae. I have heard them far too often, from the case dimensions to the bolt faces. Most of us get lost about 2.5 seconds in and fall asleep. From a shooter’s perspective they remain pretty similar. If you are a big 6.8 SPC shooter, the Valkyrie is a barrel swap. It’s the same thing for those using 5.56mm with the .22 Nosler. Shorter barrels and lighter bullets seem to favor the .22 Nosler, so those wanting an 18-inch barrel may be better served. Having compared the Valkyrie and a 6.5 Creedmoor out to 800 yards, I’d say it is a solid competitor for PRS gas gun matches. As with many of these things, much will boil down to personal preference, and both will get the job done quite nicely, regardless of which one you choose. For more information, visit federalpremium.com and nosler.com. 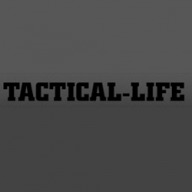 This article is from the 2019 Modern Gun issue of Tactical-Life magazine. Grab your copy at OutdoorGroupStore.com. For digital editions, visit Amazon. The post Is the .224 Valkyrie Round Just Another Fast and Furious .223? appeared first on Tactical Life Gun Magazine: Gun News and Gun Reviews.